My daughter is turning four in just about a month! Where has the time gone? As I have been planning her party, I have had so many people ask me what to get for her this year. It hasn’t been easy to say what she wants, or even needs because she seems to have everything.After come serious contemplation I have come up with the perfect list of the best birthday gifts for a 4 year old who seems to have everything. Subscription boxes are the gift that keeps on giving! They have so many awesome boxes geared towards children now a days. Each month the little princess will get a new box of goodies direct to her doorstep! I have listed a few which are my personal favorites! The perfect box for any Disney fan! A super fun box that has easy customization by age. With this box the little princess can learn about different themes every month! Their Early Explorers box is the perfect birthday gift for a 4 year old. They will learn about music, the ocean, dinosaurs and more! 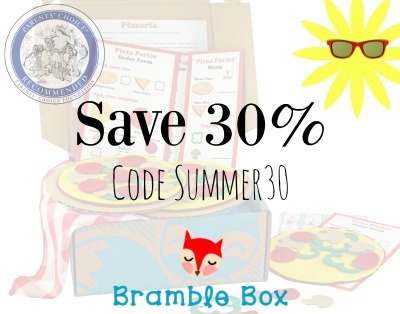 Bramble Box is another fun and educational subscription box for kids 3-7. They have a ton of different options to choose from depending on age and area of interest. I got my daughter a fire tablet for Christmas and she loves it! It has an awesome kids free time app that is completely customization. Not only is it fun and educational, it is also relatively inexpensive as well. You can see my full review here. I don’t think I have met a kid yet who doesn’t like to color. There are so many different art desk options out there for every budget. We have been thinking about doing an art station for our daughter’s 4th birthday and I know she will love it. I know at least my daughter loves to dress up. Any fancy dress or sparkly shoes will make her eyes light up. So if you are looking for a great present for great birthday gifts for a 4 year old girl, get her dress up clothes. You can actually buy Halloween costumes on clearance and save them for birthday parties. Not only will the birthday girl love them, the parents will too. You can get some really nice books for rather inexpensive. I would recommend writing a sweet personalized note in the inside cover, that way the child will be able to read it later on and appreciate the special book. I used to love playing board games with my mom as a kid, and now I love playing them with my daughter. Board games are always fun birthday girts for a 4 year old. There are so many options now too. Of course candy land is still one of our favorites. I know my daughter loves anything with her name on it. 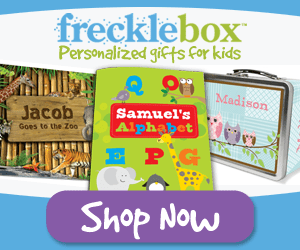 Freckle Box is a cool website that has loads of personalized gift ideas for kids. They have books, lunch boxes, and so much more. You really need to check them out for a cool birthday gift. So clothes don’t sound super exciting, but hear me out. 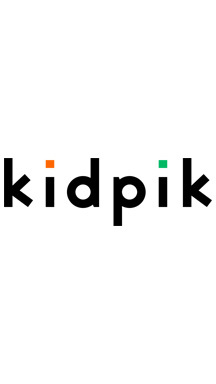 There is a great clothing subscription box for girls that send different clothes each month, called Kidpik It is really similar to Stitch Fix only for kids. You get to select what type of clothes the child likes, her sizes and they will send a custom box each month. They can then decide to purchase some or all of the items and send back what they don’t want. I know that I like anything educational, and my daughter loves to feel like she is playing games. ABC Mouse is an excellent option for a birthday gift for a 4 year old. You can even get the first month for free. It has tons of educational resources. Parents and kids will love this one. My daughter is obsessed with mermaids! She would love anyone who got her a mermaid swim tail! They have tons of options varying by ages. Even the awesome mermaid tail blankets are excellent gifts for kids this age. Buying birthday gifts for a 4 year old can be difficult. Especially when they seem to want for nothing! Hopefully this list helps you prepare for your next party. Now I want to know, what are your favorite gifts to give to little ones? My girls would love that tablet!! Great ideas here!! My granddaughter is old enough yet for the subscription box will keep it in mind for when she is old enough. Think this is a wonderful idea for a gift. This is a great list. I never thought about getting subscription boxes. My girls love to be accessories for their dolls, so those are always on my birthday gift list. Love the ideas and suggestions. I particularly find interesting the Little Passports option. I love gifts that are not just pretty but useful as well. What cute gift ideas! The subscription box idea is great, it is a gift that keeps on giving! Wow – there are so many great options here for gifts for young children! I love all the variety and options for monthly subscriptions or Tablet things… lots to fit your child’s personality. I am all about subscription boxes. The gift that keeps on giving, each month! I love your choices! I wish subscription boxes like Bramble Box were available when I was kid. It would have been so fun to get something like that in the mail! This is such a cute post, and got me thinking about how badly I want to have kids. I’m not a mom yet, but when I am one I can’t wait to buy all these little things and have themed birthdays and all that fun stuff! I am all about gifting books and I take pleasure finding books for the right people. Though I have yet to buy for someone so young, so that would be a challenge. My four year old LOVES her fire! I love it because of the warranty! I love these ideas! Art desk is a great idea!! I am going to a four year old birthday party in a couple of weeks and have been struggling to find something to get her. I will definitely consider something here. Thank you! Definitely the tablet would be my advice if they don’t already have one. My godchildren love theirs! I would have loved to have had an art desk when I was 4. I was always big into art and I think that would have inspired me to have done more artwork. What great gifts for a little girl! I think any little girl would love to have any of that! I have some nieces who are in this age group and it’s so difficult to come up with great present ideas for them! I found this super helpful 🙂 Thanks for sharing. These are great ideas. We are huge Disney fans and I have never heard of Walt Life! Definitely checking that out now – my daughters would LOVE it! I have been struggling to find gift for my four year old niece so this gift guide could not have come at a better time for me! I love the art desk and Walt life! Walt Life! What a brilliant idea. These are such great ideas! My daughter won’t be turning 4 until next year but I’ll definitely bookmark this for future use. Those are such fun ideas and I love how they are the gift that keeps on giving. I know several kids that would go crazy over the Disney subscription box! All great gift ideas! We love subscription boxes and fun learning activities the most! I think I will need to look into some of these for my nieces! Four is a really fun age. I think you’ll enjoy it! I feel like at 4 they like just about everything! Books are always a big hit in our house too! Princesses for the little lady and sharks for the dude. Haha! Oh, and happy birthday to your daughter! What great suggestions! My niece turns 4 in a few months and I’ve been wondering what to get her this year. I just got my niece a mermaid tail and a jewelry box for her birthday recently. These are all great gifts for 4 year olds!! When my son turned three I got him the kids kindle fire and it was great. The capability and the options they have are great. I love giving the gift of a subscription box. It’s like a celebration every month. And it’s straight to your mailbox and you can celebrate in the comfort of home. I would have loved these toys as a child! These are wonderful gift ideas. I know my nieces would love these items. Yay, thanks for these great ideas! My daughter turns four this year so I will be going down this lane in a few months. I love the Little Passports idea and board games. Thanks for sharing us these gift ideas! Dressing up as a kid would be oh so nice. Be a princess or perhaps a mermaid costume! I did not know that there are gift box subscriptions for children. Those are my favorites. A monthly surprise. What a great list! My daughter LOVES mermaid tails. When she was four she loved her My Little Ponies and Disney Princess stuff. Wow! Love these ideas! I wish I’d had this before my daughter’s birthday but maybe I’ll hold on to it for the next holiday. Lovely great ideas for little girls. These are great. I actually need one for a 4yo boy! Elias have that tablet though, not a big fan but it’s perfect for kids. Those learning subscriptions are perfect gifts. Never knew about those. Your daughter is going to have the best birthday ever! I don’t do birthdays, but I love giving gifts. Any little girl would love these selections. I love that most of these gifts teach your child something. 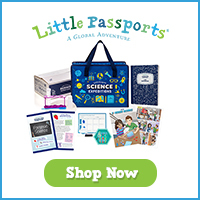 The Little Passports gifts sounds great! I don’t have children yet, but will save this blog post for ideas! Thanks. Such awesome gift ideas for little girls. I am sure every little girl will love it. I am gonna use some of these ideas for my friends daughter. I love the idea of a subscription box! those are great gift tips. My Daughter loved to dress up at that age. Wow look at all these options for 4 year old little girls. I love the Little Passport subscription box. I absolutely love the idea of a subscription box! The gift that keeps on giving! As a kid I LOVED getting mail. I’m going to have to do this for my son’s birthday this year!! Shared this article on Google +! Thanks!